Today I’ve got an interview with Jacob, who is the creator of the tool RipeHouse. This is a tool that helps you analyse local areas to discover if properties within those areas are going to be good investments or not. 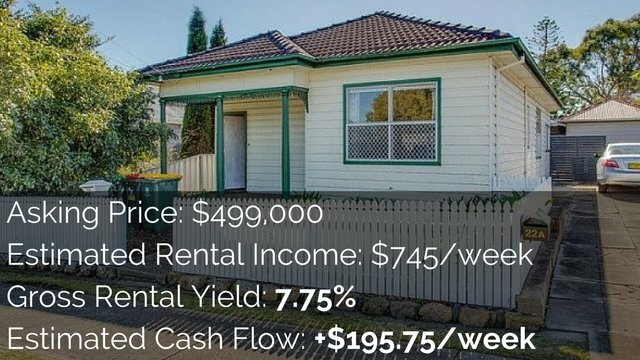 Hi guys, this is Ryan from onproperty.com.au your daily dose of property education and information. 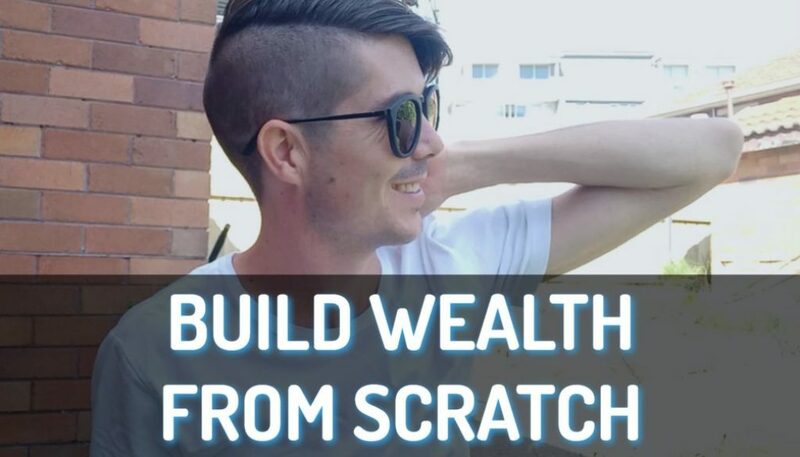 Today I have with me Jacob from Ripe House which is a powerful software tool that allows you to quickly analyse potential areas that you want to invest in and also properties that you want to invest in. 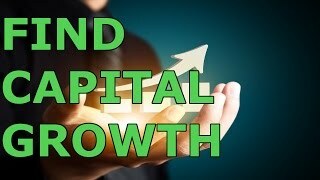 Today we’re going to delve into it and work at how we can use this tool to find areas that may potentially generate a good capital growth for us. Ryan: Hi Jacob and thanks for coming on today. Jacob: Hi Ryan, thanks for having me. Ryan: Hi, do you want to give us a really quick overview of why you created this software and what it can help people do? Jacob: Yes, sure. I guess it’s a software that looks to the property to start with every current for-sale listing in Australia in real time but it really tries to put those individual properties in context within their suburb and street. Yet looking at their suburb and the individual strategies that are relevant to that suburb makes me sure that’s consistent with your strategy and then make me sure that it is consistent down through the street and on to the individual property. To do that it looks at a lot of different sources that provides you with some real rich information but it also then interprets that information and make sure it does [inaudible 1:15] the strategy in layman’s terms. Ryan: Yes. I think this is really cool because there is so much data out there that you can find but you might not be able to find. But to actually analyse it and to understand, is an area actually going to grow? Does it have the right signs? Most people don’t know how to do that. They may hear from their friends or reading a magazine that an area is ripe for growth or something like that but how do we really actually pack that up with data that’s actually going to show us that that is a strong potential or not? So is that what your system helps people do, to really understand? Jacob: Absolutely. And it’s not that first step. I think the real point then is to stress the point is that’s the first step. It is the suburb has been recommended or you found or search using Ripe House for that suburb. There are two more stages. You’ve got to actually find the street that’s relevant to that strategy and it is consistent with that message and then the property actually needs to be positioned and you make it relevant to that strategy to achieve those goals. Ryan: Yes. I think we will see it when we get into it. I have used the tool before. I love how it breaks down a suburb into different areas of the suburb. Even though a suburb may be a hotspot, not all areas of that suburb are necessarily going to perform the same. Therefore we can break down those areas and that’s going to be very valuable to people. Can we jump into the software and have a look at how we can search for potential areas with capital growth? Jacob: Absolutely. I’ll bring that up now. There it is Ryan, I’m just moving through windows. Jacob: What we can see here now is the main suburb analysis page for Ripehouse. This is where the real nuts and bolts of your analysis for a suburb start. This is the before page so that’s why we’re displaying it now but what we will sort of launch into first is searching for suburbs. So we’ve got a capital growth strategy in mind and that’s what we have to find as much relevance to our goals, our property investment journey, that’s what we’re looking for, for this particular purchase. We can start looking and narrowing it down to strategies. So I have clicked the search there. What we’re trying to do now is find suburbs that are recommended using the engine for capital growth as the strategy and we can narrow that down to individual areas, price ranges and crime level is an interesting one, if you are only willing to accept the level of crime in the suburb. A great example that I have seen at the moment, Darwin is on everybody’s lips. In Northern Territory its sustained amazing growth you’d think from buying anywhere else in Australia that Darwin is basically you can buy anywhere and achieve the same growth but Darwin has individual suburbs and individual areas and is recommended by the Ripehouse engine as the capital growth suburb in Northern Territory. It’s one that I use as an example because it is relevant, it’s recommended by the engine but it also has great individual areas and properties in the suburbs to demonstrate the different concepts. Ryan: Can you explain to us what this page is that’s just come up? Jacob: Is the first one and is also the number of [inaudible 6:17] on a listing increasing. Ryan: So more and more people are beginning to look at these property listings which signifies more and more demand for these properties is beginning to happen. Is that right? Jacob: Absolutely and the next 6:36 also offset with those of the market decreasing trending downwards in the previous quarter. Ryan: Yes, so properties are being sold faster, which again is an indicator that the area is in high demand. Like properties in Sydney at the moment are selling within a couple of days. It’s crazy. Jacob: Absolutely, but the important differentiation to make is that even though they are selling quicker, days on the market might not necessarily be reducing. In Sydney for example properties are coming on the market just as fast, so days on the market are quite consistent. What to start with is days on market dropping it’s not satisfied with new supply on the market so that’s why more people are buying, days on market are dropping but then as soon as we start seeing days on the market stabilizing and sales volume increasing that’s the indicator for growth so that’s what we’re actually really looking for. Jacob: We are going through those days on market sign to drop. We know that there are more people looking at real estate listings, even more feet through the door at open house and stuff like that. What we’re really looking for is days on the market decreasing over the last three months and sales volumes increasing and then also the major indicator that we are looking for is actual rental amount increasing which shows that new demand is now resulting in more rental demand which is going to be driving rents up for the suburb and that’s going to bring in and attracting investors to the area. Jacob: There are people competing for property. There might be people who want to buy a house in the area because of the new utility but there are also investors who want to take advantage of that utility as well. That’s when we’re going to start to get price growth. Ryan: With utility, because I think a lot of people will be very interested in that because I get asked a lot how do I find out whether an area is getting that new employment or getting government investment and stuff like. Does Ripe House go out and find that sort of information from somewhere? Do they? Jacob: I guess the short answer is no, but I don’t need to and Ripe House doesn’t need to. Jacob: You don’t need to be concerned. This is a really big statement and it might become as shocking. If you could actually just see that utility is resulting in demand and you’ve got indicators that demand is going to result in growth you don’t really mind what that utility is. Ryan: Okay. If the property is in high demand and the property is growing you don’t really care what’s happening because obviously you are getting the growth and that’s what you want. Jacob: Yes and that’s an indicator of growth. We don’t want to purchase after the growth has already happened. We are trying to see what’s going to be happening in the short to medium term. However, a really big [inaudible 9:26] check around all that and that was already a broad statement. You’ve got to make sure that utility is sustainable. Jacob: If a mine is going to be expired in six months and it’s only been around for a year, that’s the check-and-balance. If you knew the tunnel to the city is the new utility that’s there but if when you turn it on it’s going to be built in six months’ time then that’s the check-and-balance. So you don’t need to be concerned about what that is. Just as long as you check before you purchase it needs to appear. But what we’re looking for now is within all of these suburbs across the whole of Australia to buy indicators for a capital growth strategy before the strategy started to move and happen. Ryan: Darwin is good indicator of that. We can see a 97% there. Jacob: Yes, and Darwin is one that has experienced a lot of growth. What we are talking about now is Darwin as the suburbs within Darwin. It may now just have the buy indicators for a capital growth strategy or it may have had them all the way along and it’s actually still pushing through and rising through, indicator after indicator, quarter into quarter. Ryan: So it’s important for people to know that this is Darwin the suburb, like inner city Darwin rather than Darwin as the entire capital city. Ryan: Okay. Let’s say we want to look into Darwin in more details, how do we go about doing that? Jacob: Yes, you can click on this link here. We’ve got summary information here about Darwin and we can move from this listing to individual suburbs, to move through to analyse it. So we have got to understand that we are coming into Darwin now because Darwin has indicated growth and the potential for growth in the short to medium term. It’s doing that by not looking at the history to predict the future, it’s doing that based on what’s happening there now. Jacob: The next part in this investigation is understanding the suburb and understanding the areas in the suburb that are relevant for capital growth and the other areas are going to lagging behind and completely irrelevant. We wouldn’t be buying in these particular areas and streets that are really driving Darwin through the growth and capital growth strategy and your strategy. The potential used areas in Darwin which are actually detrimental to the strategy and we want to avoid those. Ryan: Even though the area may be going ahead there may be some spots in the area that are not going ahead as fast or that are lagging behind and then maybe other areas that are actually shooting ahead and performing and outperforming what the suburb is. So you’re saying we want to find the areas that are outperforming the suburb? Jacob: Absolutely, yes, awesome, that’s right. You have knocked the nail on the head there. If you’re not doing that, if you’ve been recommended Darwin or somewhere to invest and you feel all the hard work is done, let’s just go for it, let’s buy there, let’s look for individual properties that will prosper and negotiate how we get a bargain. It might not be the area or the property that’s relevant to the growth so you might be disappointed. Ryan: Yes. I don’t actually know of any tool that can break a suburb down into like smaller areas within that suburb? Can Ripe House actually do that? Jacob: Absolutely. I mean that’s what we are really trying to focus on as a tool. Let’s jump right in and we can see that we’ve come to Darwin here with a capital growth strategy in mind. Each icon on the map there is a property that is currently for sale. It is 142 of them. What we want to do right off the bat, I won’t complicate matters with other features of Ripe House. Let’s just show areas in Darwin that are relevant to a capital growth strategy and we can do that by clicking on this toggle here. We know that capital growth is blue, it has a blue over light. There are three areas and zones in Darwin that are relevant to a capital growth strategy. Jacob: What that means and an area level is slightly different for the suburb so we are looking for different indicators. We’ve crossed that hurdle to get into Darwin in the first place. From the area level we might be looking at slightly different things. Let us skip all the properties on the map that are not sitting in one of these capital growth signs and we can filter these properties. What I will do here is to turn on the capital growth filter and this is a beautiful little list here of what constitutes an area to be once again relevant to capital growth. We want low public housing in the area. This is actually quite separate to the general concept but what I’m looking for is an average or better than average street or pure content of the suburb. We don’t want a high risk or highly volatile part of the suburb that has above average public housing. That may be a strategy you may want to target, high percentage of public housing just because it might have more potentially gentrified, you know, the government might bring in an owner occupied by that scheme. You might want to target that for a capital growth and a stable capital growth through the short to medium term, reliable tenants, reliable quality of tenants and reliable street of people are positive. Jacob: First thing, that area needs to have lower than average public housing. It needs to have higher than average rents for the suburb. So this particularly has more than average rents. That leads to two things. It’s either close by or this is leading the growth in rents. And remember that was one of the buy cues for the first place. So this particular area might be really pushing the suburb forward as far as rents and rental demand. However, it also might means that this suburb is home to the nicest most prestige properties that demand the most rents so we need to differentiate between those two things. And the way we do that is by looking for higher portion of rents so rent is in the area. So is their high demand for rent or property in this particular street or area compared to the rest of the suburb? That basically is lower averages that are pushing. You’ve got high rents, you’ve got a high proportion of renters and may generally be in the most in demand property tier which is the average type of property in a suburb. Ryan: Okay, so they are kind of pushing like the demand of prices up in in a way identifying to us that there is a demand there. Is that right? Jacob: Yes. In the final check and balances I like to see and Ripehouse is showing with the way we analyse and the argument that we use high incomes backing up high rents is the most sustainable approach and it’s going to result in capital growth. So capital growth is linked to more secure and reliable tenancies. Ryan: Yes. Is that because people who earn more money can afford to pay more rents and therefore rent can grow or is it because people with more money take better care of their houses? Jacob: Those are probably things that are all true. But at this point it’s just generally showing that the percentage of rent of income is lower so the ability to pay a rental repayment for the week is a lower proportion of their income. Therefore, it’s cool in that regard. Jacob: If you’re seeing massively high rent in an area with very low incomes or below average incomes for the area that’s a bit of a red flag. We need to align all these together. And you generally do so in a huge amount of examples, high rents and high incomes working together and you just check and balance that. Jacob: We’ve got this filter rate growth it almost applies to the suburb and all the properties outside of these areas out of the sample. We can sort of move forward confidently knowing that Darwin has been recommended because of its capital growth potential. It’s got those buy signals and these are the three zones in Darwin that are consistent with that message, rating for capital growth strategy. You can use individual toggles down here which are also going to display all of the things that constituted that decision. This toggle for example (I won’t go into them all.) will show you exactly where the high rents are in the suburb. The dark purple over lights is above average rates and below average rates not displayable. All of these things that I’m using to make these decisions, that Ripehouse is using, you can toggle through them individually. Ryan: Yes and I think, can we show people because I think it’s absolutely awesome, the total for public housing. A lot of people wouldn’t know when public housing is in an area and so if you turn that on you can actually see the public housing. I think that’s an awesome picture of Ripehouse. Jacob: Like I said this is the toggle for public housing, it’s a red toggle. It’s 2% housing as the average in Darwin. The state or the local government there is 7.3% However, this area or any these areas you can click on to work out exactly what’s in that area. We can click on this zone here which is highlighted and see that his particular area has 11.2% public housing and it has 68.8% rental in the city. Ryan: Yes, so more than one in ten houses are public houses or units in that area. Jacob: Yes, and it also shows you this is probably one of the highest rental city in the suburb and you can see that the rent and income are there as well. Ryan: Yes. As soon as you get to show people that, I just thought that it is so awesome because. I don’t know where you can find that data otherwise and to see it like in little packets of suburbs it is just so awesome. So if you want to avoid that you can make sure you avoid it or if you want to target it, some people like to target that then you can do that. So let’s go on from here. We want to drill down into these properties. What’s up? What’s our next step? Jacob: Sure. We have got our areas nominated. We need to have a property that’s now relevant for capital growth strategy. In order for that to happen the property has got to be the most in demand property type. It basically can’t be a [inaudible 19:41] in the suburb. It’s why people are drawn to that suburb, it’s where new residents and utility, people want to live in that type of property in the suburb. Ryan: Okay. So how do we find out what that type of property is? Jacob: This is a feature that basically has comprehensive suburb information for Darwin. Click on that over-light around what’s happening in Darwin. It would tell you a few things. It’s got a wealth of information of 154 properties. The most in demand properties are 3-bedroom apartments in Darwin and it’s is a comparatively high number of renters compared to the local government area, a high crime compared to the States but you don’t generally see that with inner city suburb areas and Darwin has average concentrations of public housing. Ryan: So we can see that 3-bedroom apartments are what most in demand in the area so that’s what we are going to look for. Is that right? Jacob: Yes, absolutely. We can be a little bit flexible. A two-bedroom unit wouldn’t be completely disregarded, so it is the simplest approach you’re seeing at the moment of how we sort of assess the property but you can still be a little bit flexible with that if it is quite similar. Ryan: Okay, so we have identified that. Now what do we do? Do we just start clicking on properties to see what they are? Jacob: Yes, we can definitely do that. We click on an icon now as an example. This is 59/52 Mitchell Street Darwin. It’s a one bedroom one bathroom unit. We can see the images for this property and it does look very nice. Ryan: Yes. It doesn’t really line up with a 3-bedroom apartment thing, does it? Jacob: No, it doesn’t. I’ll skip forward now and go to the strategy window here. It has ticked the boxes for suburb, it has ticked the boxes for area, no property strategy is recommended for this property. Jacob: What we can do, we can filter which is going to save us a little bit of time. Let’s get 3-bedroom apartments and you display them on the map. Jacob: Okay, so there are 19 of those currently for sale and you can click on any of these. It’s going to basically draw us down really quickly into what’s relevant. This one once again looks really nice. I might move to Darwin [laughs]. Ryan: Yes, I would there [laughs]. I was going to say that. Jacob: It’s very nice. So we can basically start seeing that this is a very high class of property but we are moving through into the conditional analysis of the property now. Ripehouse is able to analyse the description text used by the agency to determine – we have a pretty good degree of certainty of the condition of the property. I’m looking at the sentiment used by the agent. It is again something you can override if you disagree with but this is going to be used to find comparables for the property in part of our appraisal stage. Jacob: Let’s just leave that. It’s great condition property. We’ll click that as a good condition. We can see this property is on the market for over a year. It is sitting here and is $1,090,000 as a starting point. It’s then started back to potential option, potentially a price withheld. It sat there for quite a while, popped back on again on the 6th of June 2014. I am actually probably assuming this is dropped off the market completely or they didn’t actively promote the property. 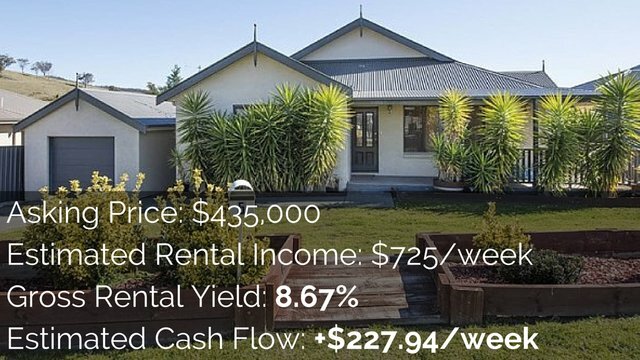 It has now come back on to the market on the 6th June this year $1,050,000 and then on the 6th of August it is also then been dropped again to $950,000 property in context. It does seem to be a high purchase price there, maybe overly ambitious. It is a suburb that is in demand but this property may be far outlaying the general property requirements or demands or it may be an unrealistic expectation for price. Once again we can see all the criteria for the suburb, all the important information – average for sale, average for rent price, average sold, days on market, for sale volume which is yearly, for rent volume, sell volume, government activities there is no government activities – there is no definable government activities in this area this. This is talking about the way that the government is adopting change which is only looking for [inaudible 24:05] around government policies in elections. Vacancy rate is very low in the suburb, it is actually rounded down to zero. The rounding is rounded down to a thin so it is actually rounded down to zero which is 7.2%. That’s actually a low figure of yield compared to other yields and so vacancy rates compared to other vacancy rate fees as you might see because it looks at all properties in the suburb and not just currently for rented or rental properties available for rent. Ryan: Yes. It looks at every property? Jacob: Yes. That’s the whole scope of what’s potentially government. Jacob: We can move forward to see all the individual area information. This particular area has 0% public housing, average to lower than average rent for the area. It’s just clicking on average quarter. Income is higher than average, slightly low to average number of renters, basically comparable number of units and a higher yield than average when you look at the suburb. Jacob: What we’re doing and the reason why this hasn’t been recommended as a property that’s relevant to a capital growth strategy is it is not in a condition less than average or below average condition that allows for cosmetic improvement to a property. It’s basically an off the plan property or a very high class of property. It’s not going to allow scope for improvement or basically allowing you a need to plan or allowing you an extra channel to increase growth. It is the switch we have turned on for capital growth strategy and you can ignore it. If you know that the two things to look for is in demand property type tick that box and this property is to be average or below average condition, it won’t recommend it as the absolute best property in the suburb, for sure. Ryan: I think that’s good because a lot of people might take those first two steps or find a suburb and then find an area within the suburb but then it is good that the suburb actually shows you, well this probably isn’t the best property for capital growth. Yes, it’s in the suburbs, yes it’s the right type of property, but yes it’s probably not going to be the best strategy for you so go back and look at something else. I think that’s very good where people can go through and yes you can do your own analysis but t for it to be able to say well here is a red flag for you that’s going to be very valuable to people who may be outside investors who don’t live in Darwin and don’t know the area. Ryan: I just love that it does it for you and even though you can go and look at it all yourself you can get an indication straight away whether or not this is likely to fit that strategy. This is going to save you so much time and you don’t have to go through and do all the data yourself on every single property in the area. Jacob: It’s about time but it’s also about finding the absolute best property for your criteria and for your strategy. 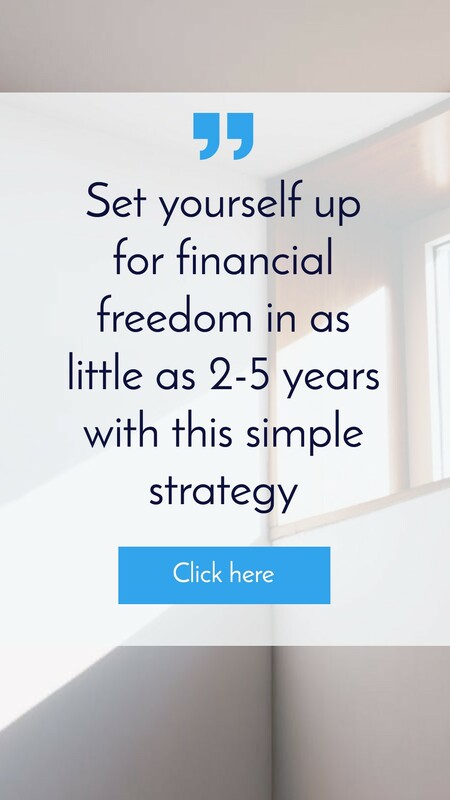 Ryan: Yes, that’s it, like being able to find the right property and if you invest in that and then it does go up in value then obviously you can leverage that to grow your portfolio faster. So taking the time now to go through this data and to get these suggestions, for a lot of people might mean they can grow their property portfolio faster because they are buying the right property rather than just a random one. Jacob: Yes, absolutely. I suppose the next step is we can proceed with this, for example this cycle I suppose. We have set the condition of the property and we can start looking at comparable properties throughout and start assessing and the price value of that property. Jacob: Well, it’s doing as it’s pulling in. We did notice that was over a million dollars and it’s almost 50% more than the median in the suburb. It’s probably the best or one of the best properties in the suburb. So, finding comparables is going to be difficult. It’s going to be a problematic exercise because it’s very hard to value or price that type of class of property. It might be a unique or once off. What the [inaudible 28:14] does, it pulls in, sort the properties to begin with in similar condition, in a similar property type, same number of bedrooms and as close as possible and it works its way back form that so then the for sale listings in the previous quarter. Just because we can if we have, this is not a formal valuation that is proposed to a bank. 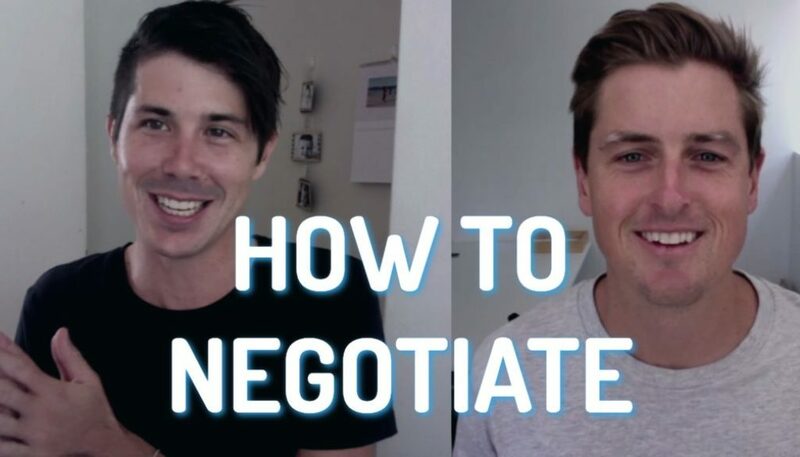 This is something for you to act upon in negotiating with an agent and assessing a fair market price for a property. Ryan: Yes and for you to understand what the market is doing and what houses are actually selling for or what they are listing for so you can see whether this person is overly ambitious or if the property is priced right. Is that correct? Jacob: Yes, absolutely. We can’t see, really quickly, we can’t see a property here that’s similar for over 800K and this property is sitting on over a million and it has been on the market for quite a long time and they have dropped it by 12%. We have got for-sale listings here in the mix as comparables, it is just because they are so relevant and they are so new and because we have got a reliable sample size of for-sale listings and we know that generally the listing price, the agent discounts them x amount down to a sold price. We know that number so we can discount for-sale properties into a sold comparable. Jacob: They are not given as high priority as the sold but when we don’t have that sample size of sold comparables we do start bringing full size into the mix just to give some sort of clarity. Jacob: But that the same process is applied into rental comparables and what we’re doing we’re picking the top six comparables for-sale and for rent and then the net is going to be averaged and moved across into the appraisal stage. So that number was 650 as the comparable price for this particular unit. This is probably something you haven’t actually seen before. What it will let you do is move that price through the location of the property. Is the property close by to school, shopping and transport which are things that people generally pay premium to live near and if they are far from that thing that they actually need and that amenity to fit their lifestyle they will pay less. If it’s in a high cluster public housing we know how that generally affects valuations and appraisals for property in the suburb and we reduce the appraisal price for that. So it is just putting the property in the location context. Ryan: Yes. A lot of people ask how close the property is to shopping and to transport and stuff like that, especially if they are investing out of the area and they don’t know. It’s good to know how that affects price and things like that. Jacob: Absolutely. And it does affect price differently for different suburbs or regional centre whether you are 3ks away or 10ks away or 500 meters from a shop. Everyone drives around when there is no traffic so it doesn’t really matter. It’s not going to have the same effect on you having to drive 5ks in the middle of the seabed of Sydney to go to your local shop, as an example. So we do write that and index that by some of the types of suburbs. It does come down to the individual suburb. It really is to get your mind thinking about how the location of this property is affected by the appraisal of it and then use this information in negotiating with the agent and classifying and putting this property into context. Ryan: Yes, awesome. And then I can see we’re up to the Report tab, so what does that generate? Jacob: Yes, so all of this information we talked about in these tabs can then be +printed off into a report for you and you could remember that report. It’s just that it’s loading up in a separate window so it’s going to be hard for me to show that. Ryan: That’s alright. So basically everything that we have just looked at generate into a PDF document. Is that right? Jacob: Yes, and that’s over twenty pages of key information for that property. You can grab that. You can take it to an open-home. You can use it as your reference and you could start putting your conversation you have with your agents, things you find out as a person doing one-on-one research with that property against that report. Ryan: Yes. Even having a conversation with your spouse that would be pretty useful because I think it would be usually just one person who is keyed into it and they use all the software and then someone else would just kind of go along for the ride. Obviously I’m more into this than my wife so for me to be able to generator a report and take it to her and say well here’s the relevant things, it is going to be easier for her to consume than through the software which she probably hasn’t learn how to use because I use it, you know. Jacob: Yes, big time, absolutely. Ryan: Yes, that’s awesome. So that’s really cool. I really like it. My favourite part is probably how it breaks down the suburb into different areas and then you can see the zones that target capital growth. I think that was really awesome. Ryan: And then being able to see comparable properties on the market and stuff like that which is something that you usually get in a paid report or you need to pay for. Therefore, the fact that it can pull that sort of stuff is really cool as well. Is there anything else that we should highlight to people? Jacob: There are pretty more features and things we can do. Not so much related to this, just general concepts. We could probably go on for quite a few of these catch ups but I think generally just in relation to that last point about the comparables and these formal valuations. You need to be able to act really quickly and you need to be able to do that on current information. If a property or suburb is moving, we have come to Darwin because it’s got a buy trigger that’s just happens for capital growth. We need to get in there. We need to have the information and basically have a volume of information that is going to give us the answers that we need and to be able to do that sustainably until we find the property. That actually takes a lot of work that can be done using tools that helps us to do that. So, you are acting in a timely manner and waiting ourselves through everything to do that. Ryan: I know how to find a lot of property data but it’s such a mission to find it all. Most people don’t know how to find the data that I know how to find. So even for me who knows where to find the data for free, you wouldn’t want to do it when you can have a tool that does it for you. I think for people who don’t know how to find that stuff, this is obviously going to provide massive value to them. I think it’s going to be good for people even if you’re considering a certain area as well you can then drill down into that area. Maybe you target capital gains, maybe you are not. Maybe you are trying to buy a house in your local area, you can really target streets in the areas and stuff like that. Jacob: I completely sort of see that’s a perfect example as a home buyer. We’ve got a subscription level for a home buyer particularly. They can view all the capital gains strategy functionality. I just see a home buyer as an investor with a capital gains mindset. Jacob: That’s because it’s the biggest investment that they make for a long period of their time in most cases of their life. It has to be giving capital growth to them. If you have to buy because you want to occupy close to your parents or close to your family or close to the children’s school. If the children’s school is located in one position [inaudible 35:26] around that is a very large area and you’re willing to accept living there in any of that area, it is definitely better capital growth potentially in one part of that than the other and it’s not going to be a flat surface. Ryan: I think a lot of people who are home buyers actually don’t buy their dream home to start with. They buy somewhere and hope that it grows so then they can sell and move on to the next thing and eventually get to their dream home. So they can use this software to find their first area that they can buy in that is more likely to grow that it might get them to their dream home faster. Jacob: Absolutely. Yes. If you don’t want to handicap yourself. Ryan: No, totally. So that’s awesome. Thank you for showing us through that. I really appreciate it. If anyone wants to check out their software we’ll go live on Wednesday. Is that right, the new version? Jacob: That’s right, midday Wednesday. This is version 3 of the software you are seeing now. It’s been almost a year in development by same version 2. All of the feedback we’ve had from that working through helping people using the software but then we also had one hundred investors using the software as data testers for four weeks. They basically did everything possible to the software that you can imagine and gave feedback and refined it based on that. So it has been through all these process and this is launching on Wednesday. Ryan: Yes, so that’s going to be very exciting. If anyone wants to check it out you can go to www.onproperty.com.au/house. That’s my affiliate link, you can check it out through there. You are not going to pay any extra through my affiliate link, but obviously it’s going to help on property. Or you can go to www.ripehouse.com.au as well, if you don’t want to go through my affiliate link. Jacob: There is going to be a launch day special which is a 20% discount on the subscription price that’s activated from the link that’s associated with you as part of the launch which you will be a part of. Ryan: Well, there you go. So if you go today and you go through my link which is www.onproperty.com.au/house then you are going to get access to that special offer as well which is awesome. So thank you so much for creating software which is obviously extremely powerful and is going to help a lot of people and for taking the time to show us how to use it. Jacob: No problem Ryan. 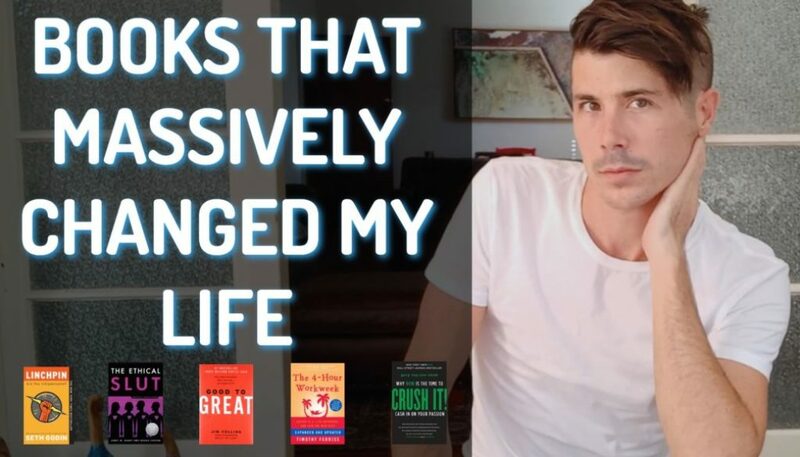 I really appreciate the time and thanks for sitting through it with me. Ryan: No worries. If anyone has any questions or anything how can they best get in contact with you? Jacob: I am at Jacob.field@ripehouse.com.au or any of the pages through Ripehouse email or check for getting in contact. Ryan: Awesome. I know there are things that we didn’t cover today guys, like flipping strategies and cash flow strategies as well but we will save those for another day and go through them as well. Alright Jacob, thank you very much and hopefully we can get together again and talk about another strategy. Jacob: Sounds great Ryan. Thanks again.